When it’s time to buy gifts for my Mum, I know I have a little bit of a head start as I have access to some of the best skin products around and luckily, like me, my Mum wants gorgeous glowing skin! 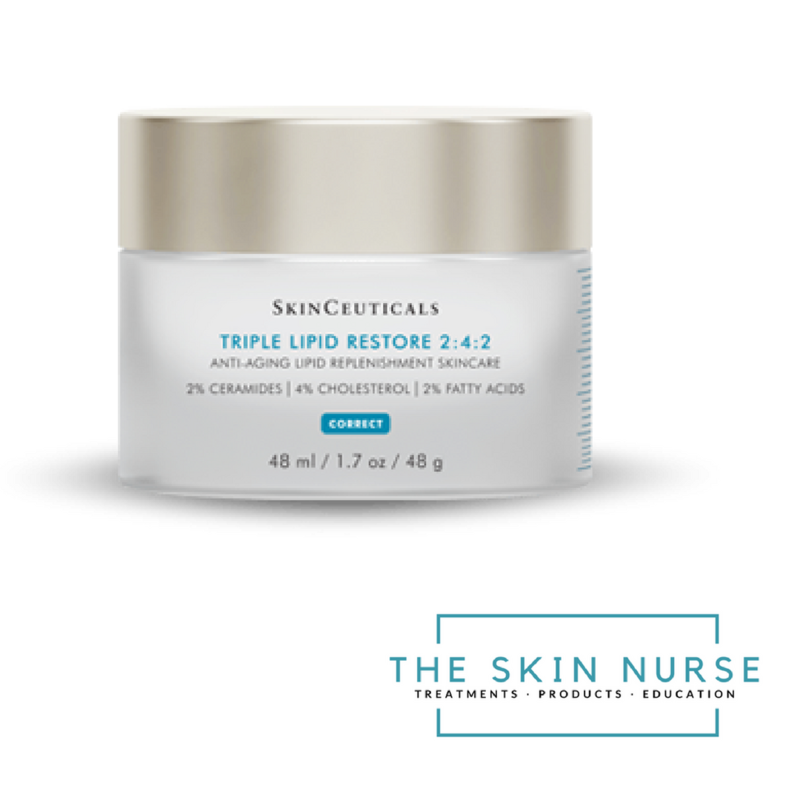 I like to treat Mum to new skin products for Mothers day and her birthday and when Skinceuticals launched this product last year I was delighted because it sounded like it was formulated exactly for my beautiful Mums skin type. Mums skin has some signs of ageing (as we all do) including: Dryness, uneven texture, tightness, dehydration, some volume loss and enlarged pores. Accelerated skin recovery / renewal – like when our skin was younger & worked faster. A stabilised stratum corneum – More strength on the skins surface = less fragile skin. Better barrier function – more protection from damage. Supported lipid composition which is lost through ageing – replenishing the good oils our skin needs. High in omega 3 and 9. Lightweight and fast absorbing – quick and easy to apply. Feels very nourishing and lavish which is always nice! Not only does Mum love the products I get for her but I get to see the results of her using them, so although I am bias and think she looks bloody amazing for her age anyway, I am reassured by the fact that her skin continues to look fab and I can recommend the same to some of my clients with similar skin concerns. Win-Win! If you would like to ask me what moisturiser would suit your skin type, please do get in touch. Alternatively you can buy this fantastic pot of corrective cream here. What is Botox? How does Botox work?